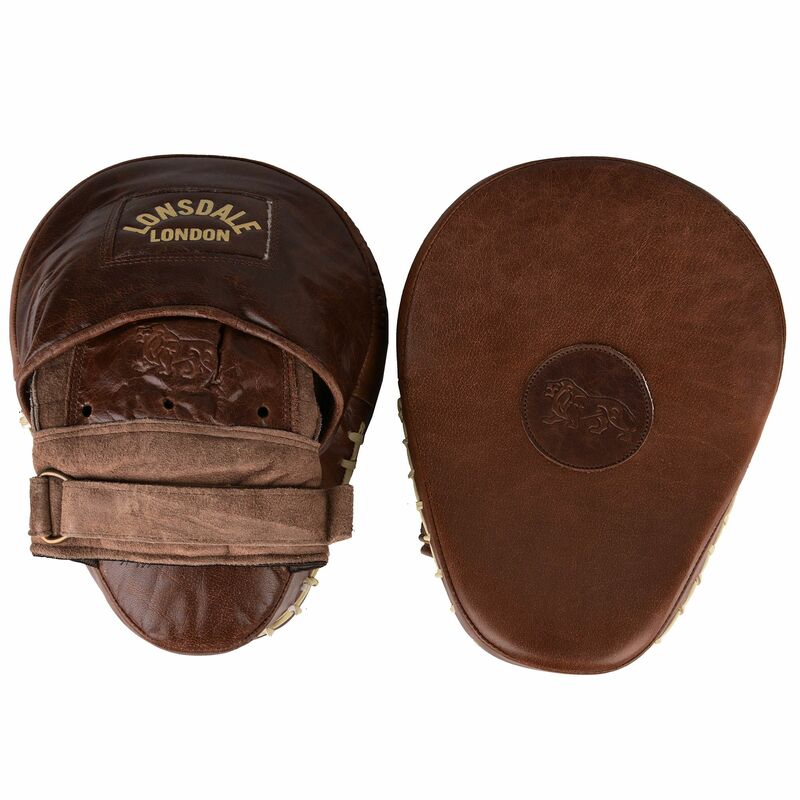 The Lonsdale Vintage curved focus pads are perfect for those who appreciate a combination of premium quality and a stylish, “Old School” design with a Lonsdale logo and a Lonsdale lion embossed to the back of the hand. Made to take the biggest punches, the pads offer L-core technology providing unsurpassed shock dispersion and increased cushioning. They are produced from the finest cow hide leather and have an anatomical design with wrist padding for added protection. for submitting product information about Lonsdale Vintage Curved Focus Pads We aim to answer all questions within 2-3 days. for submitting product information about Lonsdale Vintage Curved Focus Pads. We aim to answer all questions within 2-3 days. If you provided your name and email address, we will email you as soon as the answer is published. for submitting product review about Lonsdale Vintage Curved Focus Pads.